Nixie Concrete Clock | OhGizmo! If you need a clock that will surely stand the test of time you’ll want to keep your fingers crossed that Daniel Kurth’s Nixie Concrete Clock actually goes into production. 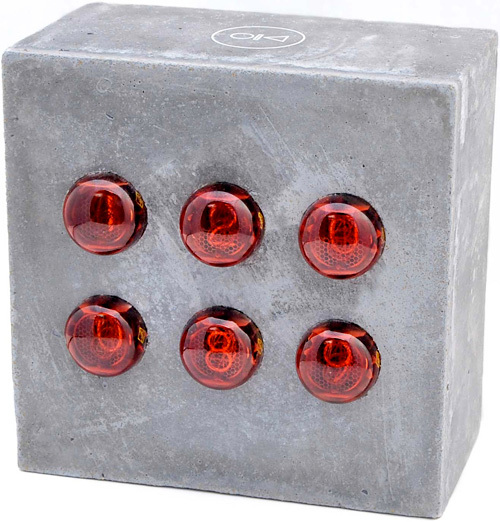 At the moment it’s just a one-off concept featuring a set of six vintage Z560M Nixie tubes embedded in a fairly hefty block of concrete, but Daniel is apparently looking into production possibilities. The concrete clock can apparently be wall mounted too if you prefer, with sufficient engineering of course, and the time is displayed in an irregular fashion so as not to stress people out by constantly reminding them of what time it actually is. But if you just have to know, it was 10:28:09 when the above photo was taken. Lemme guess .. Clock is $20 with a $400 shipping fee. Two-Stage Power Throw: The Power Throw 522, Range and parts of heavy cast aluminum provides an effective mechanism in best snow blower conditions associated with solid snow cover poor.